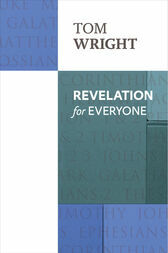 Tom Wright's own translation is combined, section by section, with a highly readable discussion, with background information, useful explanation and interpretation, and thoughts as to how it can be relevant to our lives today. No knowledge of technical jargon is required. With this volume, the New Testament for Everyone series is completed. Tom Wright recently resigned as Bishop of Durham to take up a new appointment as Research Professor of New Testament and Early Christianity at the University of St Andrews. He is a regular broadcaster on radio and television. Tom Wright is the author of over forty books, including the other For Everyone guides to the New Testament, the best-selling Simply Christian, Surprised by Hope, and Virtue Reborn; and the magisterial series entitled Christian Origins and the Question of God.